For decades, the Duel Monsters card game has entertained strategy enthusiasts. And while a good spell or trap may ruin your opponent's day, monster cards often form the key to victory. They attack, they defend, and they ravage with a variety of nasty effects. Today we'll examine the ten most-feared monsters, gathered from my many years of playing Yu-Gi-Oh, and discuss how to topple these behemoths! Many off these units frequently swap in and out of the banned list, so be sure to double-check your deck is legal before entering an official event. Which of the game's thousands of creatures always strike terror in opponents? These are Yu-Gi-Oh's ten most feared monsters! Ultimate Golem's piercing effect and colossal ATK let it quickly ravage foes, and it shields itself from counter when it attacks. If it's summoned using the ATK-doubling fusion spell Power Bond, or the quick-play Spell Limiter Removal, Ultimate Golem's ATK doubles to 8800, potentially wiping out players with one strike! Golem is only protected while attacking, meaning you can use any removal during your turn. However, by the time your turn arrives, the duel may have ended already, making cards that can trigger before it attacks, like Compulsory Evacuation Device, crucial. An added bonus is returning Ultimate Golem to the hand rather than placing it in the Graveyard, which prevents it summoning Ancient Gear Golem. Sword of Revealing Light will also protect you from all attacks for three turns. When destroyed and sent to the graveyard, Chaofeng lets you add a tuner from your deck to your hand. Finally, be wary of any extra abilities Chaofeng may possess, as Yang Zing fodder boost their synchro summons with a variety of boons (such as increased ATK or immunity to spells). Chaofeng seals many monster effects, but not traps or spells. Those that return to the hand or remove from play are especially valuable; they won't trigger Chaofeng's tuner-searching trait. Bottomless Trap Hole, Drowning Mirror Force, and Dimensional Prison work well. Classic destroyers Raigeki and Mirror Force are further options. Destroying it in battle may also work; be sure to pay attention to which (if any) extra effects Chao receives upon its summon, and target its corresponding weakness. Though part of the Ice Barrier archetype, Trishula's effects serve any deck well. When synchro summoned, Trishula allows you to banish a card from your opponent's graveyard, field, and a random one from the hand, assaulting them on multiple fronts and providing card advantage. 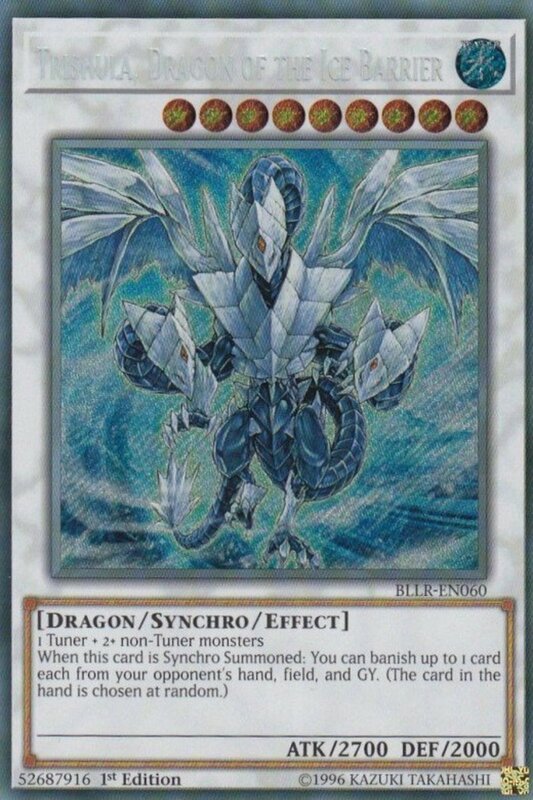 Because Trishula triggers upon summon, it's difficult to counter; even if you destroy the monster upon entry, the effect still occurs. And its 2700 ATK can overcome most foes. Destroying Trishula isn't especially hard, but stopping it before its fierce effect activates is. Note that it requires at least two non-tuners for the summon; keep your opponent's field empty to prevent them from gathering the necessary components. Effect-negating cards like Breakthrough Skill also help. Finally, this dragon can't remove from your hand if it's empty; set your spells and traps if you suspect an incoming Trishula. 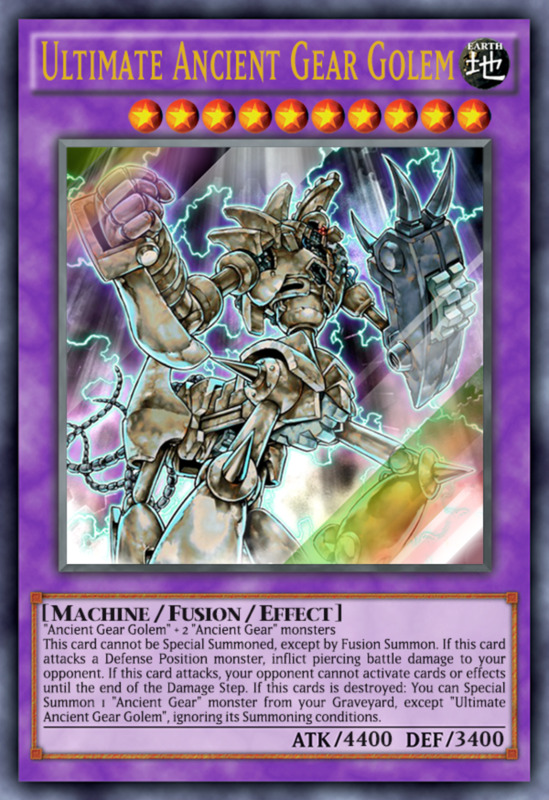 An older card, Absolute Zero terrorized duelists with its awesome removal: When the card leaves the field (through any means: destruction, banishment, hand-returning, etc. ), all your opponent's monsters are destroyed. Essentially, a free Raigeki. If that's not bad enough, Zero wields 2500 ATK and gains 500 more for each water-attributed monster besides itself on the field (yours and your opponent's). Admittedly, most Elemental HERO cards disappoint competitively, but occasionally you may encounter a rogue Zero (Star Wars puns notwithstanding) ready to wreak havoc. 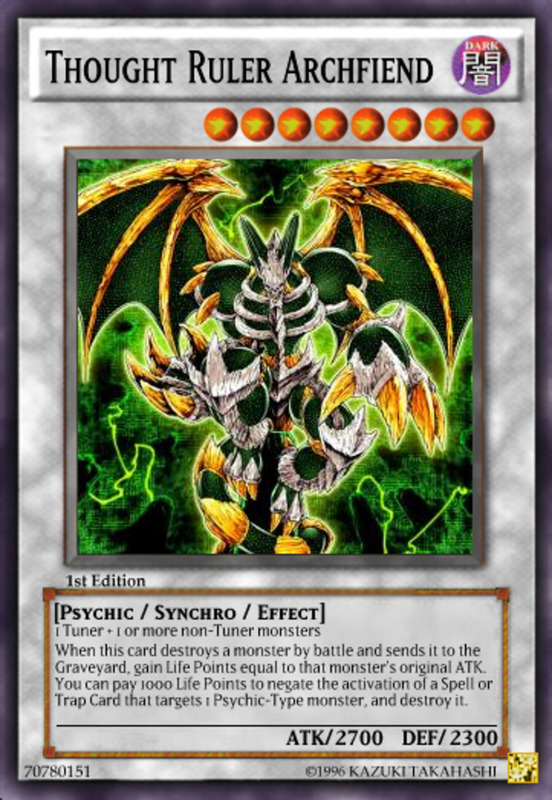 Destroy it with cards like Raigeki, Mirror Force, or Soul Taker, and be sure to summon your monsters for the turn after you've taken care of it. Watch out for combos that rely on repeatedly removing and returning Zero from the field (like with Timebreaker Magician's monster effect). 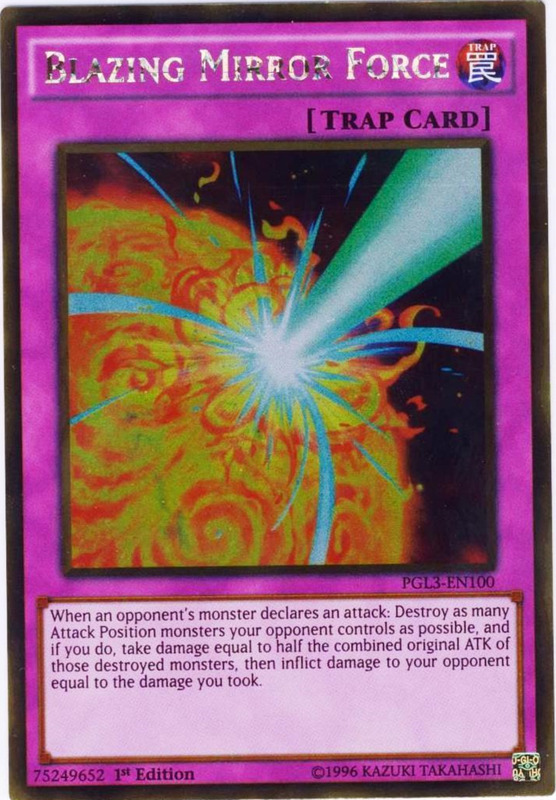 Any method to negate destruction through card effect shields your allies; for instance, Mound of the Bound Creator or the pendulum effect of Timebreaker Magician. 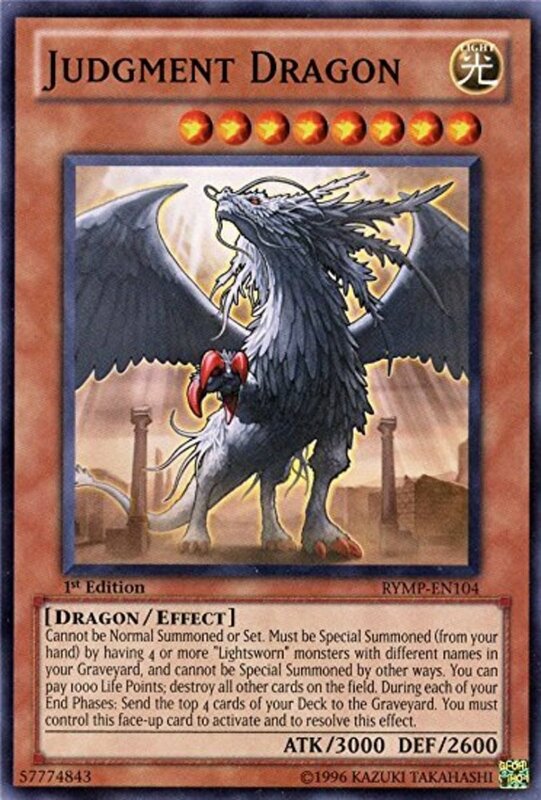 Stronger than even a Blue-Eyes White Dragon, Judgment Dragons are only seen in Lightsworn decks. It's summoned by filling the graveyard with four different Lightsworn monsters (Lighstworns excel at rapidly stocking their discard pile). Once out, Judgment brandishes superb ATK and a deadly trait: by paying 1000 life points, all other cards on the field are destroyed. While this affects its owner's other forces too, it completely wipes your field of any defenses, leaving you wide open for some punishing direct attacks. Thankfully, it's predictable: you see Lightsworns, you can bet a Judgment is coming. Keep some removals in hand in case one arrives and wipes your field. Better yet, utilize rare "hand traps" like Battle Fader, or prevent your opponent from summoning Judgment at all by banishing the cards in their graveyard. 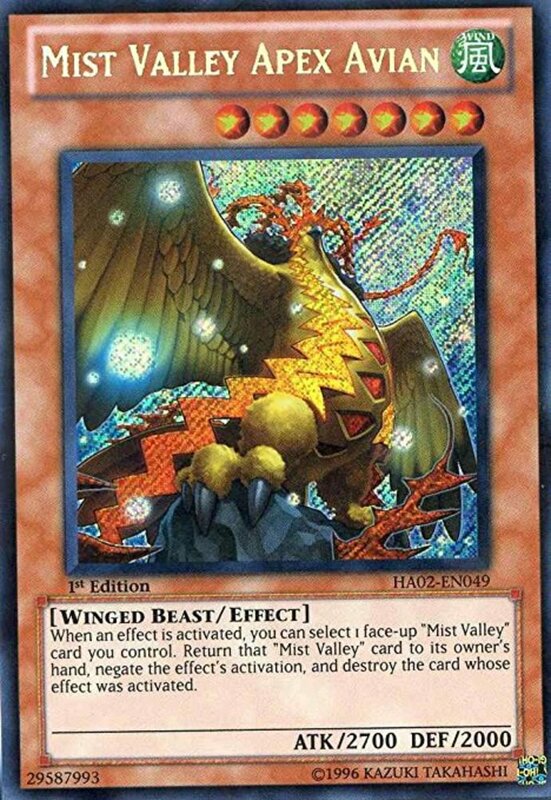 Another older card, Apex Avian maintains sturdy ATK and a great effect: once per turn, when any effect is activated, you can select any Mist Valley monster you control (including Avian), return it to your hand, and negate the effect, and destroy the triggering card. Despite its age, clever Pendulum players use their pesky pendulum scales to repeatedly cast the Level 7 Apex Avian, bypassing the one-time hazard of requiring two tributes and keeping the winged-beast type relevant in competitive duels. Ideally, you'll already have a monster with higher ATK out to deal with Avian. Remember, it can negate any effect, making battle one of few ways to conquer it. If you're lacking the firepower, trick it into wasting its negation on an unneeded card, then form preparations for its return while the creature is off the field. 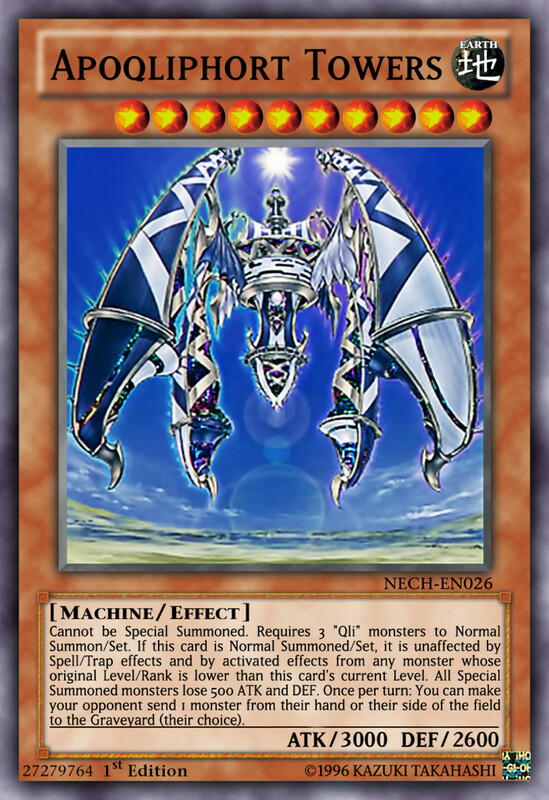 Alternatively, negate Avian's negation with cards like Breakthrough Skill, or eliminate your opponent's pendulum scales to stall Avian's return. 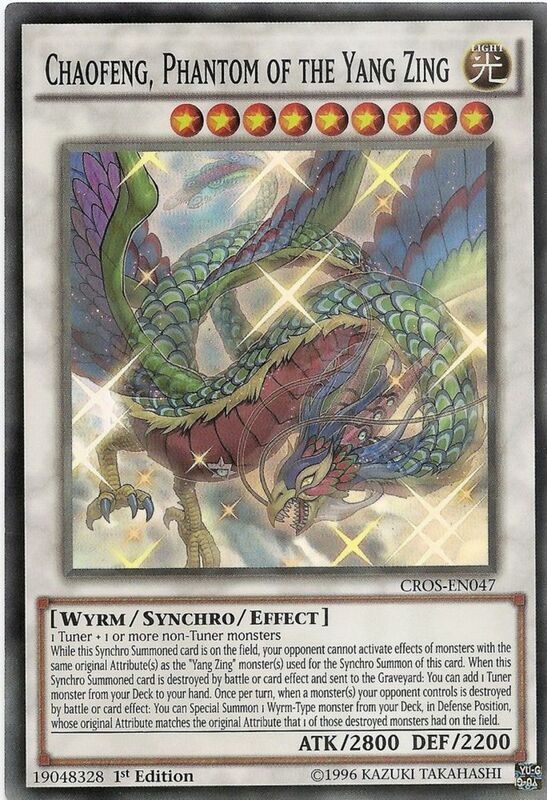 Synchro monster Stardust Dragon has many powerful forms, and I favor its Assault Mode for its sweet ATK, great effect, and relative ease of summoning. Similarly to Apex Avian, once per turn, Stardust can negate any effect, this time by tributing itself. It'll automatically revive from the graveyard at the end of the turn, no pendulum summoning required, and it wields higher ATK than Avian. Remember than Stardust can negate anything you do; "waste" its ability on a card you don't need, then play your real aces while it's gone. 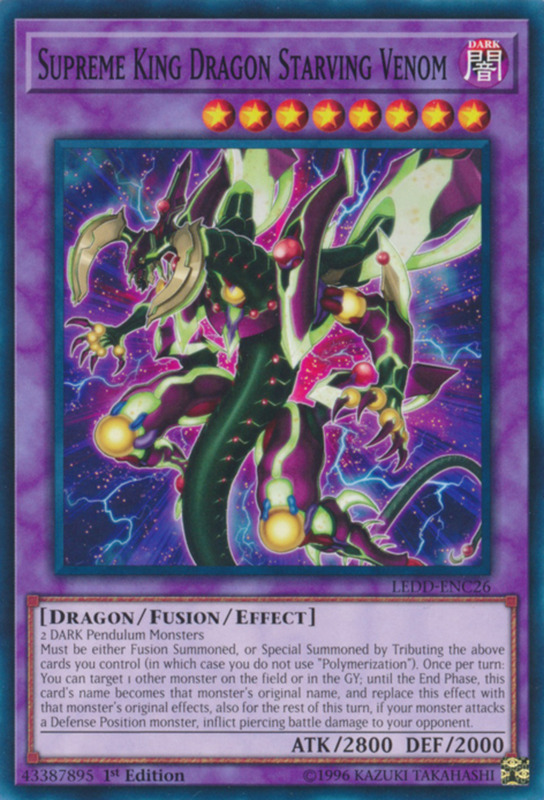 Ideally, summon a monster who eclipses Stardust's 3000 ATK, but be aware it'll resummon a regular Stardust Dragon upon defeat. 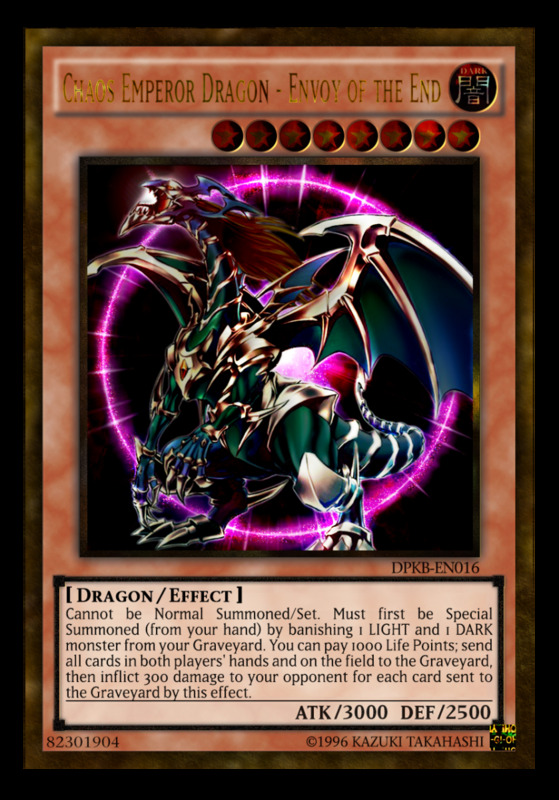 Even better, remove it from play while it's in the graveyard to prevent its revival (Trishula's effect does the trick). Finally, note that summoning it requires the trap Assault Mode Activate, so anti-trap measures like Royal Decree will protect you. While one of the oldest cards, Chaos Emperor remains one of the fiercest. 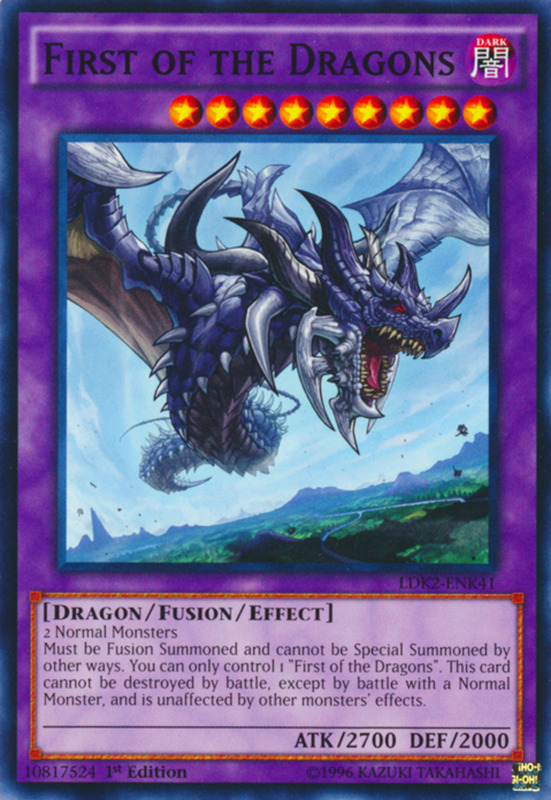 Its strong battle attributes, easy summoning (you only need a light and dark monster in your graveyard), and mighty effect can turn the tide of any duel. If you're losing the match, Envoy essentially resets the game: pay 1000 life points, and all cards on the field (including itself) and in both players' hands are sent to the graveyard, and your opponent suffers 300 Damage for each. This will likely inflict far more hurt to them than you, and evens the playing field when things are going sour. Envoy's effect is an activated one, meaning you have a chance to destroy it before it can employ the ability with cards like Bottomless Trap Hole or Offering to the Doomed. 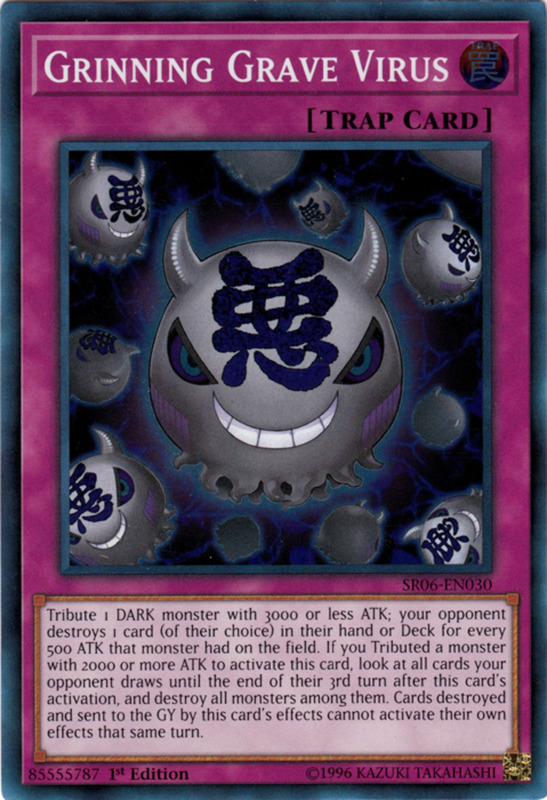 Alternatively, remove light and dark monsters from your opponent's Graveyard to prevent the summon, or disable the effect by quickly lowering their life points below 1000. The pinnacle of the Gishki archetype, Zielgigas towers in with more than enough ATK to conquer opposition. Its effect lets you (once per turn per Zielgigas) pay 1000 life points to draw and reveal a card. If that card is a Gishki, you select and shuffle one card from the field into the deck, a great removal. The cool thing here is that this selection doesn't target the card, bypassing troublesome target-immune foes, and regardless of whether your drawn card is a Gishki, it's added to your hand. 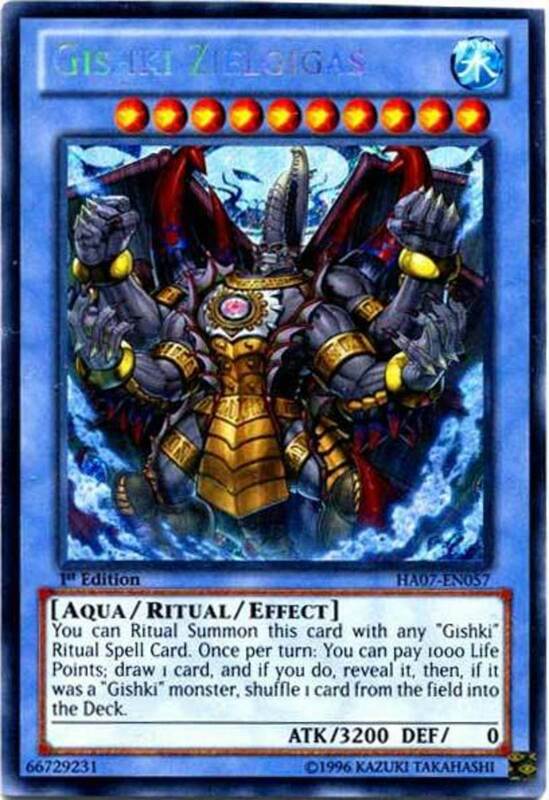 Plus, Gishki decks usually employ several means to retrieve Zielgigas from the graveyard if defeated, and can shield him from effects with the field spell Mound of the Bound Creator. Zielgigas is tough to counter while it's reducing your field. Still, it's vulnerable to any destruction as long as Mound isn't out yet. Try to prevent its revival by banishing it with Bottomless Trap Hole or Dimensional Prison. Shifting it into defense position exposes it to battle destruction from nearly anything, and reducing your opponent's life loints to under 1000 prevents its nasty effect. Finally, even if Bound is out, cards can like Drowning Mirror Force can overcome Ziel's destruction and targeting immunity. Here's a card so incredible I'm confident that years after this writing, it'll still reign supreme. Apoqliphort Towers only functions in Qliphort decks, but once it's out, the duel is likely over. Towers (which is tribute summoned with three Qli monsters) reduces the ATK of all special summoned units by 500, almost certainly blocking you from besting it in battle. Then, once per turn, it can force you to send a monster from either your field or your hand to the graveyard. Worst of all, Towers is unaffected by any and all spells and traps plus any effects from monsters that are under tank or level 10! Good luck. Spells and traps are out, leaving battle, but that'll be nigh impossible because your special summons will be weakened. If you have a level 10 or higher monster with a removal effect (Zielgigas does the trick), that may be your only hope. Thankfully, Towers is banned competitively (update: he's only limited now! ), but keep your eyes open in casual matches. Try to destroy and remove Qliphort pendulum scales to prevent your opponent from gathering the three Qli tributes necessary to summon Towers. 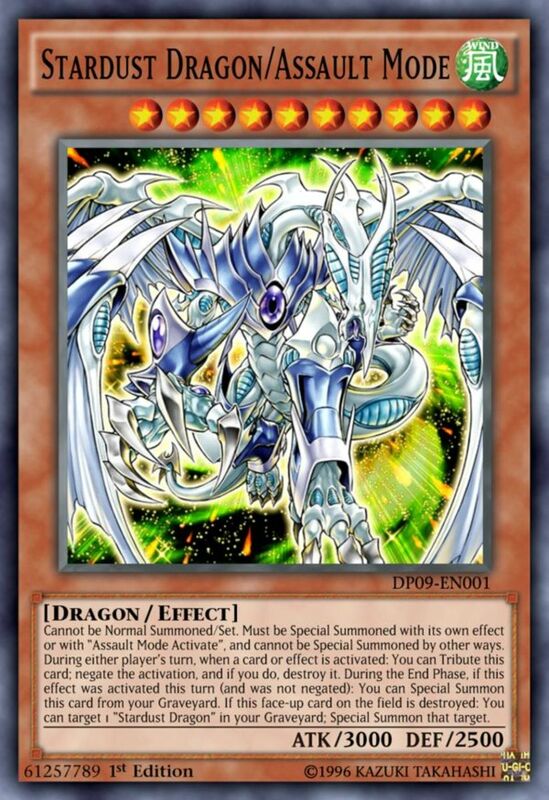 Though today's beasts have long decimated duelists, the advent of link summoning will revamp the entire card game and undoubtedly unveil new and powerful monsters. Extra deck cards will be more difficult to summon, and only time will tell which of today's entries can adapt to the Konami's new climate. But for now, as we eagerly await more nightmare-inducing gargantuans in future expansion sets, vote for your favorite card and I'll see you at our next Yu-Gi-Oh countdown! Why isn't Chaos Ancient Gear Giant on here? Chaos Ancient Gear Giant would definitely be a good card for this list considering its high ATK and immunity to spells/traps. However, it does require a whole four materials, meaning that its difficult summoning conditions can restrict its usability. That said, it's still an astounding card and has appeared in some of my other countdowns, like the top machine-type monsters that I've linked to below, and I try not to reuse the same cards when I can help it. 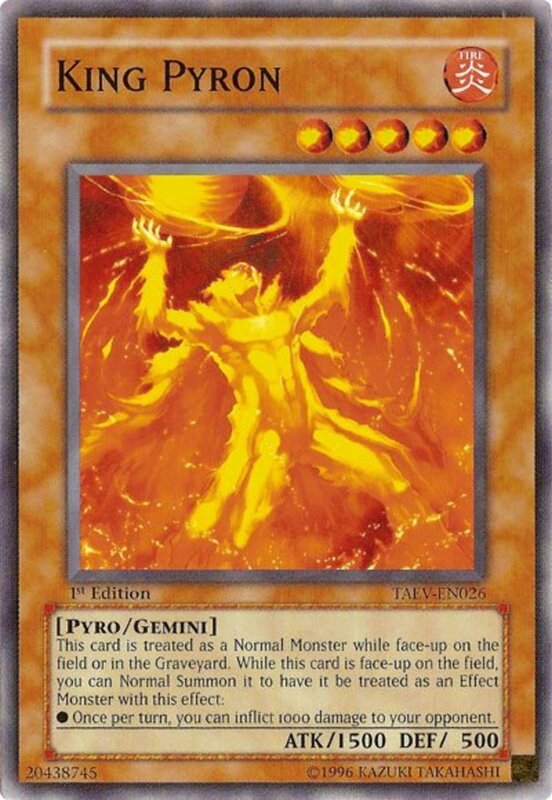 Does the reasoning for Yu-Gi-Oh's Chaos Ancient Gear Giant not being here apply to Quasar as well? Essentially, yes, although I'll try to periodically update this countdown (or perhaps just make entirely new ones) to once again tackle the game's most monstrous titans. Sure, Exodia has always been a threat because hand removals are rare. That said, limiting the Exodia cards to one per deck helps mitigate their dangers. Would exodia the forbidden one count? Right with ya man; ever since Pendulum arrived, an Odd-Eyes Avian mashup has been my main. I admit I haven't delved yet into the Link Summons; I'm really hoping they have a positive impact on the game. Regardless, Firewall looks pretty impressive... and even he isn't Fire-attributed (he's Light)! I'm a simple man. I see Apex Avian on a list, I like. But seriously: Very solid list, man. My favorite card on the list is... of course my favorite card: Apex Avian. 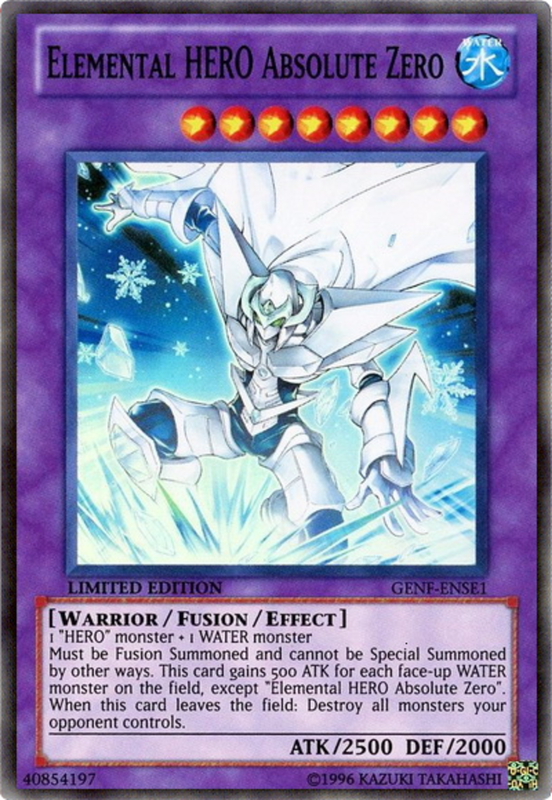 My most hated card would have to be Absolute Zero. Other cards on this list are more annoying... But something always rubbed me the wrong way when facing that card. He's got a solid attack, is stupid easy to make in an E-hero deck, and then touching him destroys all your monsters. Also, I'd like to give an honorable mention to Fire King High Avatar Garunix (Lol, the gift that just keeps on giving) and the new Firewall Dragon (Just wait when Links get bigger, just you wait...) Again, another solid hub, man!